BAND BIOGRAPHY Back in the days, in 1995, the band started a cover band called "Cherry Pie" and with its numerous live gigs, said band paved the way for the foundation of CRYSTAL BALL, who are now one of the leading hard rock bands in Europe! The release of CRYSTAL BALL's debut album "In The Beginning" kickstarted the successful career of the Swiss quintet. Meanwhile, they released 8 additional albums, with their 10th studio album now waiting to be released soon. Over the nearly 2 past decades, CRYSTAL BALL toured through Europe - along with bands like Krokus, The Poodles or Freedom Call - and played shows with bands like Primal Fear, Pretty Maids or Axel Rudi Pell. They even collaborated with Wuppertal's symphonic orchestra and played live with them. They also appeared at numerous festivals, of course! In the ever-changing and challenging music market, the guys still avoid following fast moving trends and do their own thing, which makes the well-established rockers even more likeable. The devoted and ever-growing fanbase surely agrees. ALBUM INFO The praise for the previous album "Déjà-Voodoo" has not stopped yet, which on the other hand does not stop the Swiss melodic rockers from releasing a new album! The album opener and title track "Crystallizer" impressively shows the listener how the cookie crumbles and proves why the band is rightfully considered as one of the best melodic metal exports made in Switzerland! 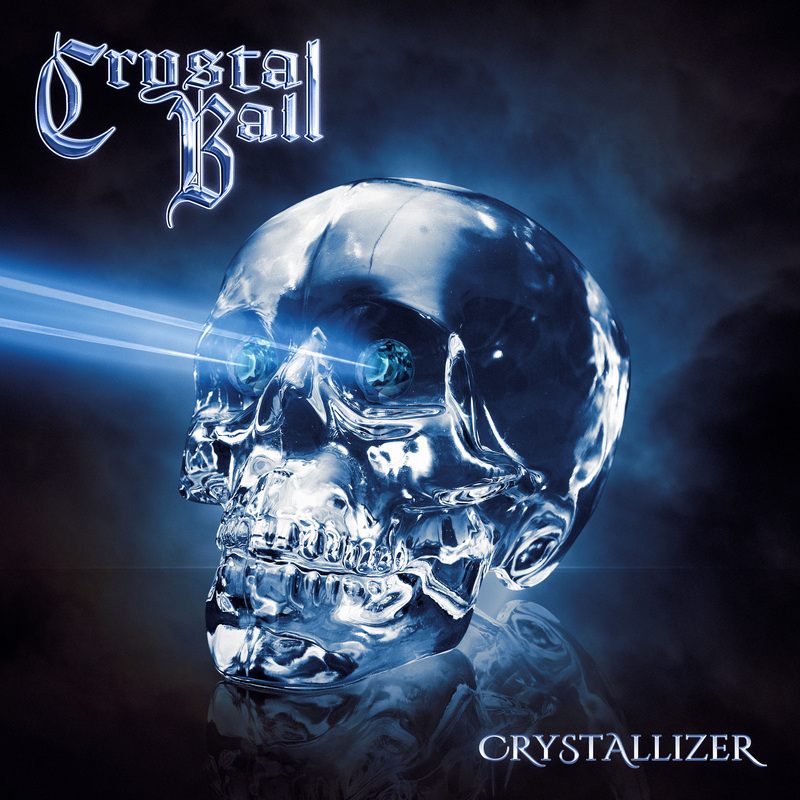 "Crystallizer" is full of melodic hard rock and metal! Driving and rich beats fuel exciting melodic hook lines, which crystallize into catchy songs - CRYSTAL BALL style! The new CRYSTAL BALL opus was once again produced, mixed and mastered by Stefan Kaufmann (ex-Accept, ex-U.D.O) - who has by now become the secret, but close 6th (studio-) band member.